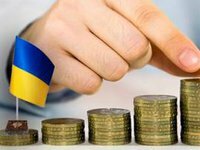 Non-banking financial institutions of Ukraine in January-June 2018 paid profit tax in the amount of UAH 353.9 million to the national and local budgets, which is UAH 148.4 million or 72.2% more than a year ago, a member of the national commission for financial service markets regulation of Ukraine Oleksandr Zaletov has told Interfax-Ukraine. "The aggregate amount of the paid profit tax by non-banking financial institutions, according to the Treasury, exceeded the similar indicator of banks by 8.7%, or UAH 28.2 million," he said. He also said that the upward pace of fiscal revenues is associated with the growth of services provided by non-banking financial institutions. In the first quarter of 2018, the following financial services were most popular: third-party liability insurance (94.7% increase), financial leasing (76.2%), pension contributions to private pension funds from individuals (34%), life insurance (30.6%), tourist insurance (26.8%), contributions to the construction financing funds (23.3%), medical insurance (21.7%), car insurance (20.9%), deposits in credit unions (14.7%) and loans granted by credit unions (7.3%). In Zaletov's opinion, if several years ago the driver of growth in non-banking financial markets was financial risk insurance and factoring, now growth is primarily related to the activation of financial services oriented to the social needs of the population. The further development of this segment will depend on the adoption of bill No. 8415 dated May 25, 2018 amending some laws of Ukraine regarding state regulation of financial services markets aimed at creating a systemic basis for the recovery and development of non-banking financial services markets in modern conditions.